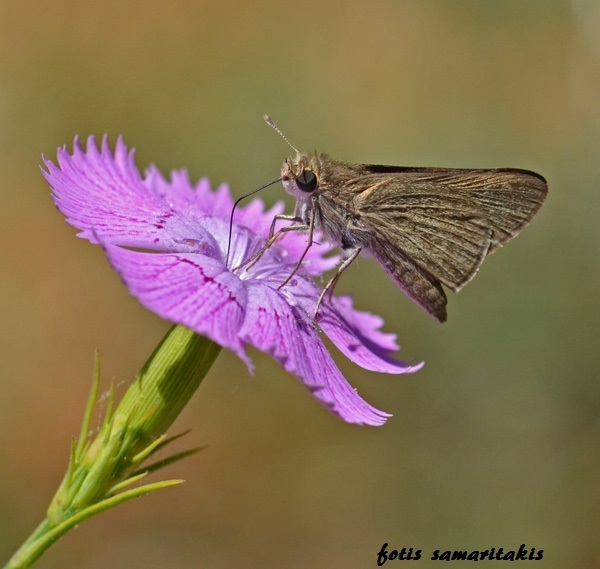 Gegenes nostrodamus is a rare species for Crete.Not so many records so far of this tiny butterfly.In this photo it really enjoys a Dianthus species. A wonderful image of this tiny skipper. Focus is sharp showing very good detail and colors are well saturated and natural. The flower is also very pretty and makes an attractive perch for your butterfly. Exposure is right on the money and I like the clean blurred BG. Very nice close up capture of this butterfly. Like the out of focus background. Well done! !